he wants to be called Lea XD. get it memorized. Wallpaper and background images in the Kingdom Hearts club tagged: kingdom hearts lea axel dream drop distance. This Kingdom Hearts photo might contain portrait, headshot, gros plan, and closeup. 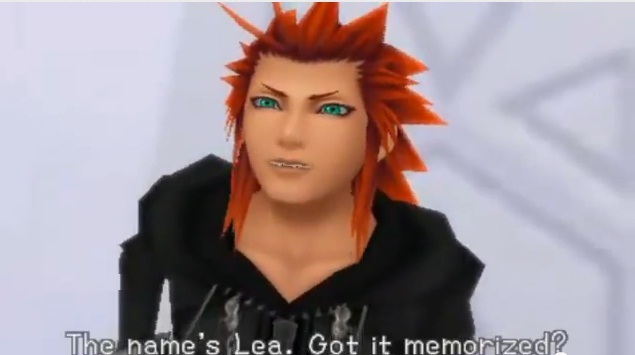 I know your name's Lea, cuz mine is Rose...Got it memorized?